This is a traditional Italian family favourite dessert recipe. Pour cooled coffee into a shallow bowl. Beat cream, mascarpone, brandy, and castor sugar with electric beaters until resembles whipped cream. Dip the sponge fingers (enough to cover bottom of serving dish) into the coffee one at a time, turning so they are well coated but not soggy. Use a spatula to spread ½ the cream mixture over the fingers to cover completely. Dust over 1 teaspoon of cocoa powder and then some grated chocolate. Cover with cling wrap and leave in the fridge for a minimum of four hours or overnight if possible. Remove from the fridge and dust with remaining grated chocolate and serve immediately. 2 punnets whole grape tomatoes (I find Perino sweet snacking roma tomatoes from Coles the best for this recipe). Fry chicken breasts in olive oil for a few minutes until golden brown then transfer to casserole dish, then sprinkle Italian herbs over the chicken and leave while preparing sauce. Add tomato and all other ingredients to same pan and sauté for 2-3 minutes, add sea salt and ground pepper to taste, toss well and then pour over chicken…bake for about 30 – 40 minutes turning chicken over once, halfway through. Leave for at least 10 minutes before serving if you can. I serve this yummy dish with rice. I usually bake my own bread, and sometimes make extra loaves to give away. 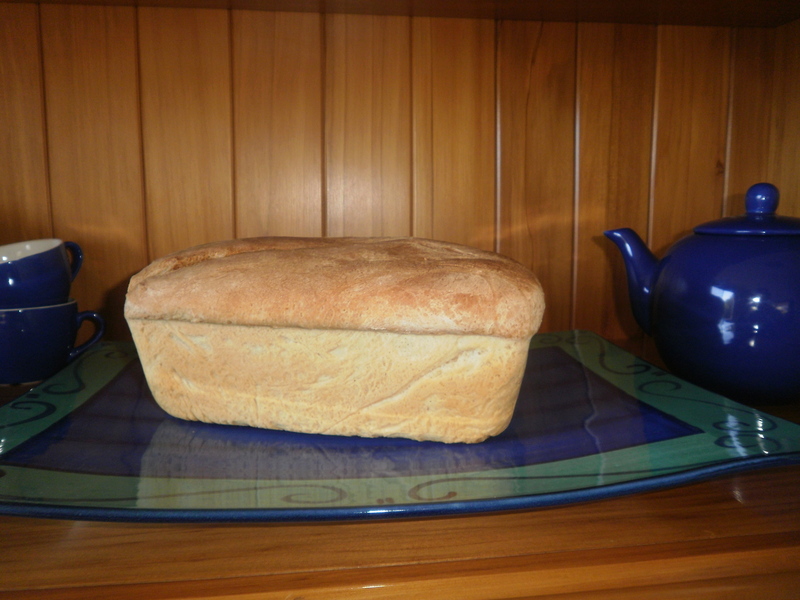 There’s something special about giving a still-warm loaf of home-made bread to friends or family. I have finally discovered, through trial and error, a bread recipe to please everyone in my family – it’s not too grainy and not too ‘white’. This dough recipe makes one large loaf. I buy the multi-grain (includes 8 grains) flour from an Indian grocer (the brand is DEEP Indian Gourmet). Dissolve sugar in small amount of the lukewarm water, add the yeast. When yeast is fluffy in about 5 minutes, add remaining water and olive oil. Make a hole in the centre of flour mixture, add yeast water, and mix in quickly. Knead vigorously for up to ten minutes. Place dough in large oiled bowl, cover with cling wrap and leave for 40 minutes to double in size in warm place. When dough has doubled in size, gently shake bowl, upside down, to release the dough onto floured surface. 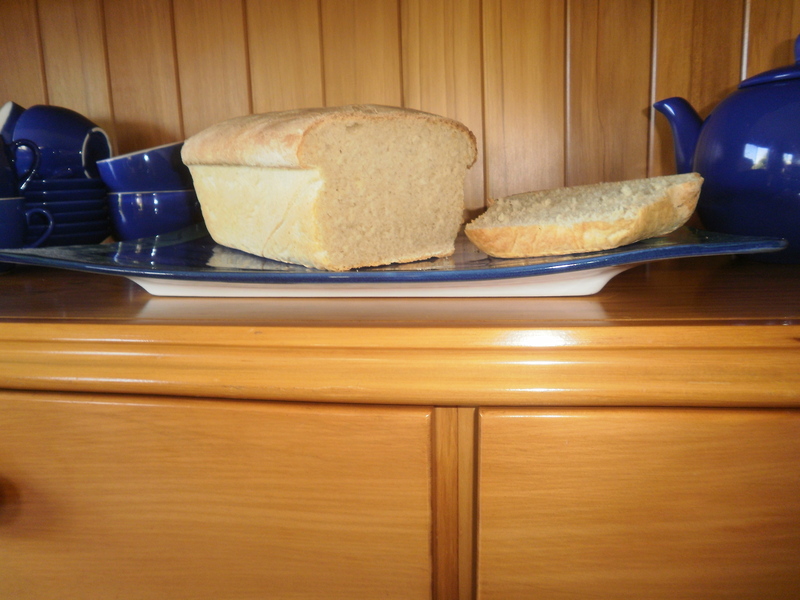 Handle gently to expel excess air and then place in large loaf tin. Leave in a warm place to double in size again for 40 minutes, then spray lightly with fresh water for a crunchy crust. Bake in 200° forced fan oven (210° ordinary oven) for 25 minutes or until the bottom of loaf sounds hollow when tapped. Our family doesn’t buy in pizzas because this recipe is so quick and easy, and so much tastier! This amount of dough makes two family size pizzas. In large bowl mix sugar into lukewarm water, then add yeast. Leave for about 5 minutes until puffy. Add dry ingredients and oil, mix well in the bowl, then place dough onto floured bench and cut in two. Use palm of your hand to lightly roll each piece of dough in a circular motion until ball shaped. Brush olive oil over pizza trays and after rolling each ball of dough into small rounds half the size of pizza trays, using a rolling pin (lightly and sparingly), place the rounds on pizza trays and continue to gently push dough with your fingers out to edges of trays, pressing down firmly around the outside edges so it will not rise away from edges. Leave to rise at least 2 hours, the longer the better, then cover with favourite toppings. Or, alternatively, you can leave the kneaded dough in the bowl to rise, then knead again and roll out, place on pizza trays and then add toppings. Bake in 220° forced fan oven for 20 – 25 minutes. You can use a pizza stone in middle of oven and heat it for at least 40 minutes before placing the pizza tray onto it. 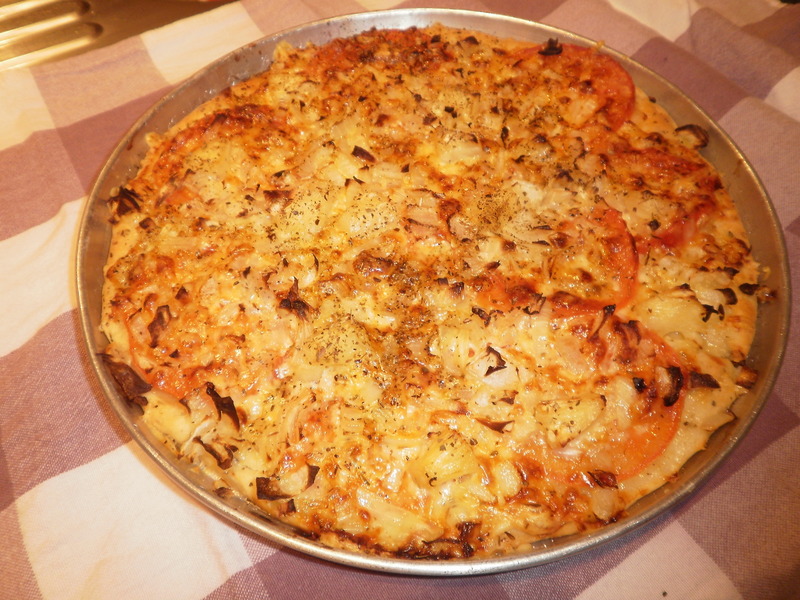 I grate New Zealand easy-melt Mainland Colby cheese, or Italian Mozzarella, and finely chop an onion to use as a base over the rolled-out dough which has first been brushed with tomato sauce or tomato pesto. Add things like olives, onions, & halved cherry tomatoes, or pineapple, bacon, mushrooms & onion, or chopped leftover sausages or ham etc etc. When cooked, sprinkle with fresh rocket or basil. 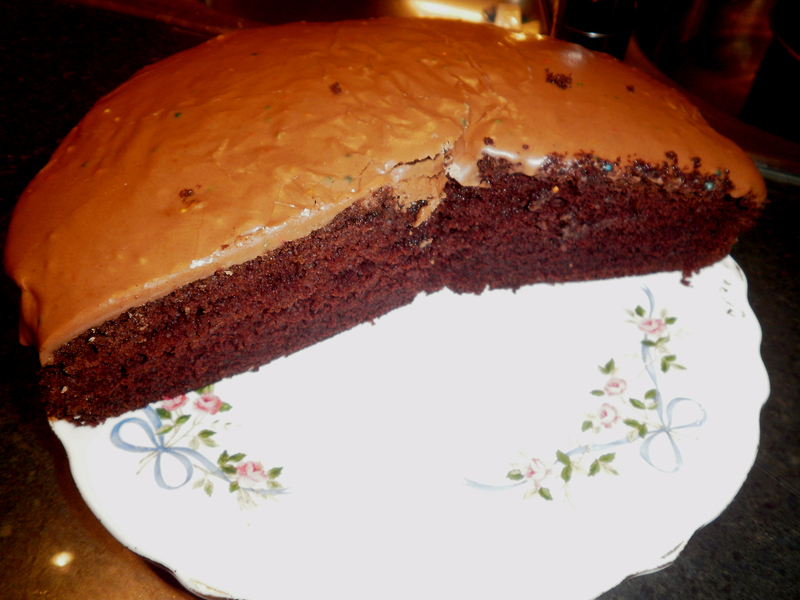 This cake is so delicious and moist, it disappears very quickly in our house. Try it for yourself. Chocolate Guinness Cake – one slice just doesn’t do it! Cream butter and sugar until pale and creamy. Sift flour, baking powder and bicarbonate of soda into a bowl. Gradually beat in alternately the eggs, dry ingredients and stout until all have been added and the mixture is smooth. Transfer the mixture into a 20 cm spring-form tin which has been greased and the bottom lined, spreading the surface level. Bake in preheated oven at 160°C for 45-55 minutes until well risen,the top is slightly cracked and a skewer inserted into the centre comes out clean. Leave to cool in the tin for ten minutes then loosen edges, and turn out onto a wire rack to cool. Two tablespoons of sifted cocoa dissolved in small amount of boiling water (add water by the tablespoon) add icing sugar and a teaspoon of vanilla essence, beating until smooth and firm enough to spread over warm cake. 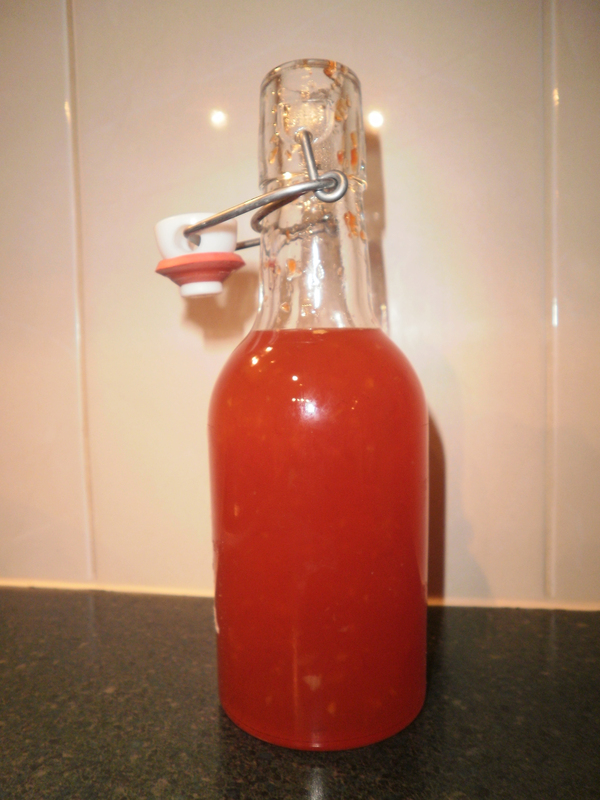 Sweet Chilli Sauce: Beautiful colour & simply delicious! 1/4 teaspoon chilli powder (you can increase to 1/2 teaspoon for extra heat) optional. De-seed the capsicums, and all but one long chilli, and chop coarsely, then place in food processor with peeled garlic, grated ginger and 250mls of vinegar; process until finely chopped. Put the processed capsicum/chilli mixture into large pan, add remaining vinegar, castor sugar, salt and chilli powder. Cook over low heat, stirring until sugar dissolves. Increase to high heat and bring to the boil, then reduce heat and simmer, stirring occasionally. Usually takes 40 – 60minutes. Put saucer in fridge to test sauce is ready-it will jell in the saucer in five minutes or so. Pour into sterilised bottles and seal. Makes approximately 1 litre of sauce. My family loves this sauce with stir fry dishes, especially chicken! 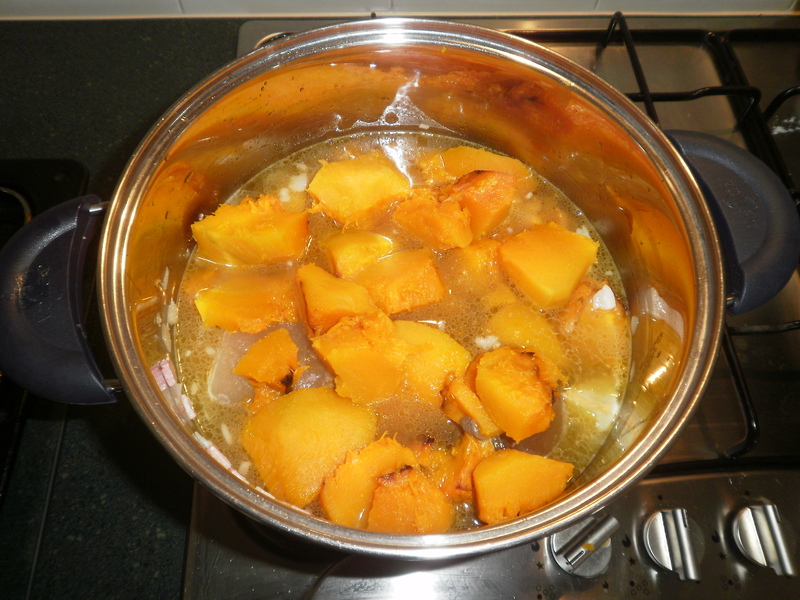 Cut up pumpkin and sweet potato into large pieces, cut potato into smaller pieces. I brush the pieces in olive oil before baking them in the oven at 200°C until soft. Pumpkin easily peeled when cool. Sautè the chopped onion and garlic, then add chopped bacon if using it. Put all in large pot with coriander and cover with chicken stock. Top up with water if necessary. Simmer for at least 45 minutes, until all veges are pulped. Add sea salt and ground pepper. Mix to smooth consistency with hand held electric creamer, or mash. Garnish with chopped Italian parsley. There is no dairy used, so will keep well in fridge.